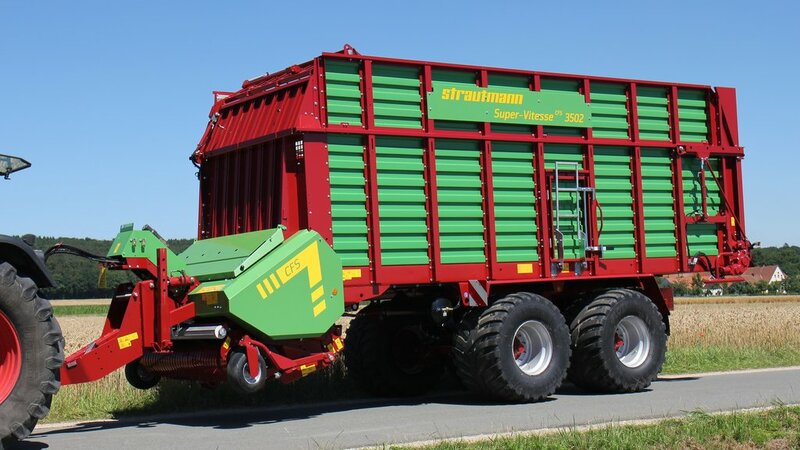 Extending the versatility of its Super Vitesse forage wagons, Strautmann has introduced new features, making them suitable for use as trailers for maize harvests. Updates allow Strautmann Super Vitesse forage wagons to handle heavier loads. Firstly, to prevent forage material in fully-loaded machines from overflowing, the height of the side panels have been extended. The top front panel has also been extended with metal fingers. Secondly, the side panels have been strengthened to remove the need for roof ropes; this allows filling from above by self-propelled forage harvesters. Thirdly, to ensure heavy loads can be discharged, higher capacity discharge floor motors have been fitted as standard. There is also an option to upgrade to a double motor on the discharge floor. There are two models in the Super-Vitesse range, each has a 39-knife cutting rotor on a CFS (Continuous Flow System) unit, and requires a minimum of 120hp. The 3102 has a capacity of 29cu.m and costs £64,157 plus VAT, while the 3502 has a 33cu.m capacity and costs £66,443 plus VAT.